Star of stage and screen Tamsin Greig will make her West End musical theatre debut in the UK premiere of Women on the Verge of Nervous Breakdown at the Playhouse Theatre. The Olivier Award-winning actress will open in the new musical on 12 Jan 2015, following previews from 20 December 2014. The production will run at the Playhouse Theatre (currently the home of 1984) until 9 May 2015. 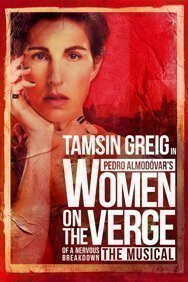 Women on the Verge of a Nervous Breakdown is based on the 1988 film by Pedro Almodovar and received its world premier on Broadway at the Belasco Theatre on 4 November 2010. The original cast included Sherie Rene Scott, Patti LuPone, Brian Stokes Mitchell, and Laura Benanti. The musical f features music and lyrics by David Yazbek and book by Jeffrey Lane. Tony Award-winning director Bartlett Sher who led the original production will take the helm once more for the West End production. The musical tells the tale of a group of women in late 20th-century Madrid whose relationships with men lead to a tumultuous 48 hours of love, confusion and passion. Women on the Verge of a Nervous Breakdown runs for only 20 weeks at the Playhouse Theatre, so book your tickets soon to avoid disappointment. 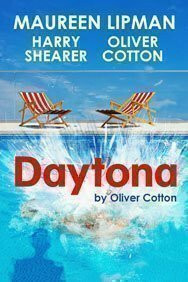 Oliver Cotton’s critically acclaimed new play Daytona will transfer to the West End’s Theatre Royal Haymarket from 30 June 2014 for a very limited 8 week run, ending 23 August 2014. Daytona received its world premiere back in 2013 at London’s newest venue the Park Theatre and its transfer into the West End marks the Theatre Royal Haymarket’s first co-production with a Fringe venue.